If you’ve got a large home or office, or just need better wifi coverage, the ATHENA-EX offers a great way to do just that. We need Wi-Fi for just about everything these days… our phones, our laptops, gaming systems, cameras, toasters, sofas, shoes — ok, maybe not those last few (yet), but you get the idea. With smart appliances becoming more mainstream there’s a much larger need for wireless signal in your home. But what if your Wi-Fi router or wireless access point doesn’t cover your whole house? Or leaves areas with a less-than-perfect signal? Today we’ll look at a solution for just such a problem. 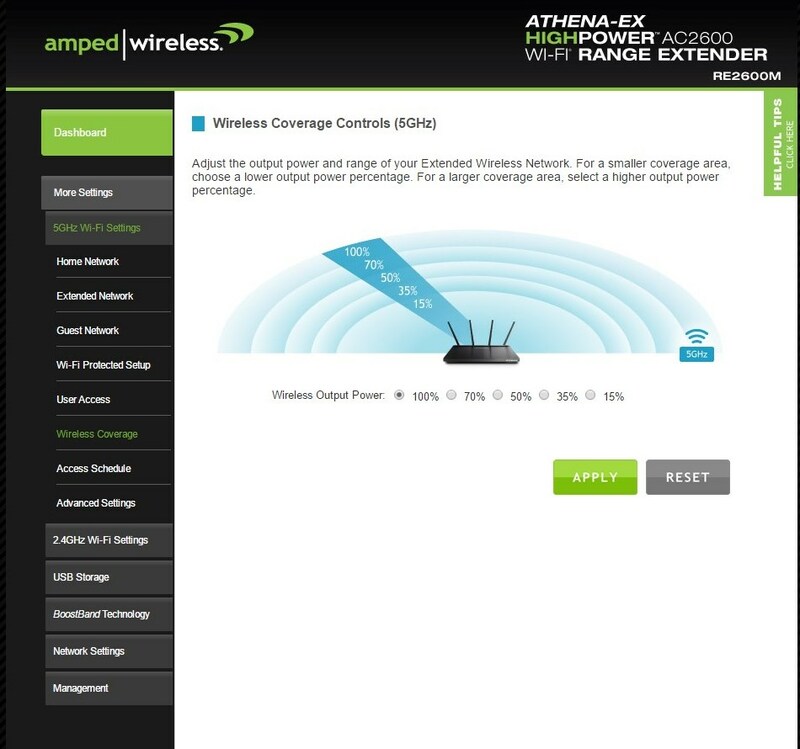 The Amped Wireless ATHENA-EX Wi-Fi Range Extender can help you cover more ground with your existing wireless signal. 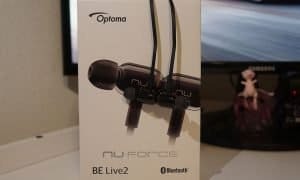 See how it performs in this full review. The ATHENA-EX Wi-Fi Range Extender has a pretty straightforward design. The device is rectangular, roughly 6.75” x 10.75”, with a slight slope from back to front. 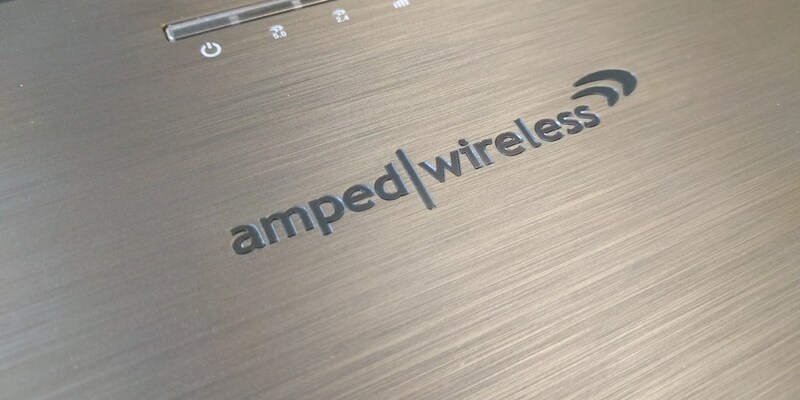 The top of the extender has a brushed plastic look with the Amped Wireless name mark and logo in the middle. You’ll also find a few strips of vents as well as the indicator LEDs. The LEDs include a power indicator, 5.0gHz and 2.4gHz indicator lights, wireless strength indicator, and USB storage LED. The right side of the device has a USB port for the aforementioned USB storage. The left side is pretty plain, while the front only includes an indication that this is an extender. The back panel is where things start to get interesting. There are four antennae across the back of the device, and from right to left you’ll see the following: a reset pinhole button, WPS button, LED power, four WAN ports for wired connection, one more USB port, AC input, and power button. The bottom is mostly just vents and some rubber feet. Once connected to the range extender, you can get to the settings by navigating to setup.ampedwireless.com from your computer, laptop, or tablet. The settings page will offer an overall view of what’s going on with your range extender, showing the original network name as well as the extended name and extended network(s) passwords. 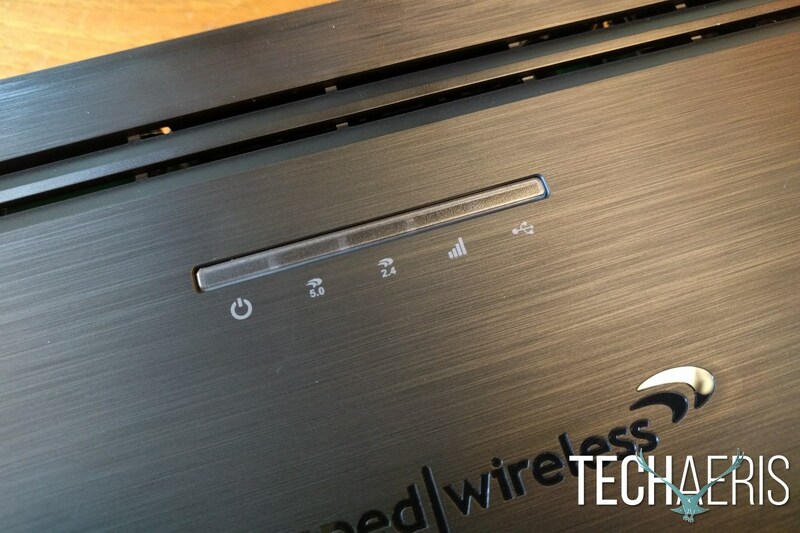 You can then dig into more settings including wifi settings for both 2.4GHz and 5GHz extended networks. These settings allow you to set up guest networks, use WPS to add devices to your wifi, set access times or blackouts for each of the wireless networks, and tone down the output from the extender if you’re finding your wireless range extending too far past the walls of your house or apartment. Reining it in a bit will keep your signal where you need it, and keep your neighbors from being tempted to leech off of your wifi. 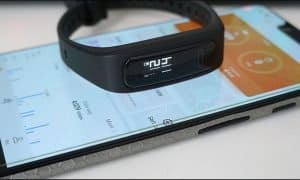 Other settings include USB storage options, and Amped Wireless’ BoostBand Technology, which increases the overall speed and performance of the range extender when it is attached to a dual-band connection. 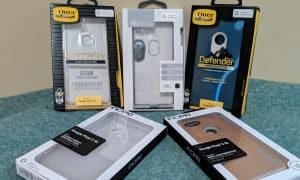 The settings give you plenty of control over the extended networks, and between the extender and your wireless router you should be able to do what you want to do with your wifi. This is the kind of product where you can really just set it and forget it for the most part. The “setting” takes a few steps, but after that, you can simply enjoy additional Wi-Fi coverage in your house. 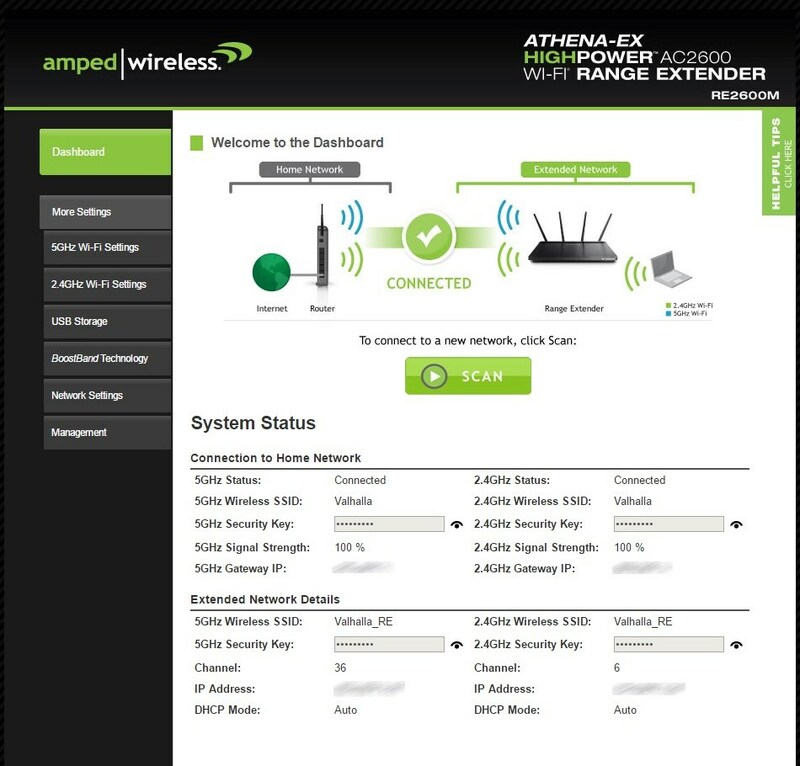 The setup process involves connecting to the Wi-Fi signal that the ATHENA-EX produces upon startup, and navigating to a specified web page that is stored on the hardware itself (the same setup.ampedwireless.com as is used for other settings). That page will walk you through the setup process, allowing you to either emulate your wireless settings or create new SSIDs for the extended networks. If you’ve merged your dual-band wifi into one SSID, you are able to have one merged extended SSID as well. For example, the 2.4GHz and 5GHZ bands on my wifi router are merged into the same Valhalla SSID. The ATHENA-EX is able to do the same with its extended network, creating a Valhalla_RE SSID, allowing the connecting device to pick up whichever band will be faster at that time. LED indicators tell you what’s going on at a glance. I did have a little bit of an issue with the initial setup, as the process locked up at the end and would not complete. I ended up having to reset the extender and try again but had much better luck the second time around. The instructions really are very easy to follow, there was just a slight hiccup in the process initially. After some time the extender did also become unresponsive, and the power light simply kept blinking. A system reset was able to fix that issue without too much trouble. If you want to try and avoid that issue, you can set an auto-reboot for the extender in its settings if you’d like, just to keep things humming along. After the initial setup, you can — and are encouraged to — move your ATHENA-EX around to find where it will be most useful. You’ll want to pick an area where you’re starting to lose your Wi-Fi, but where the extender can still pick up a strong enough signal to be effective. Once you’ve successfully configured the extender, you can move it around to find the best spot for it. The LEDs on top will light up to give you an idea of where the extender should live. If the wireless strength indicator is green, you’ve got signal strength over 70% and should be able to leave your extender where it is. Yellow LEDs show moderate signal, 60% – 69%, and red is, as one would expect, to be avoided (59% or below). Once you have its home figured out, simply connect devices to it as you would with your regular Wi-Fi router. 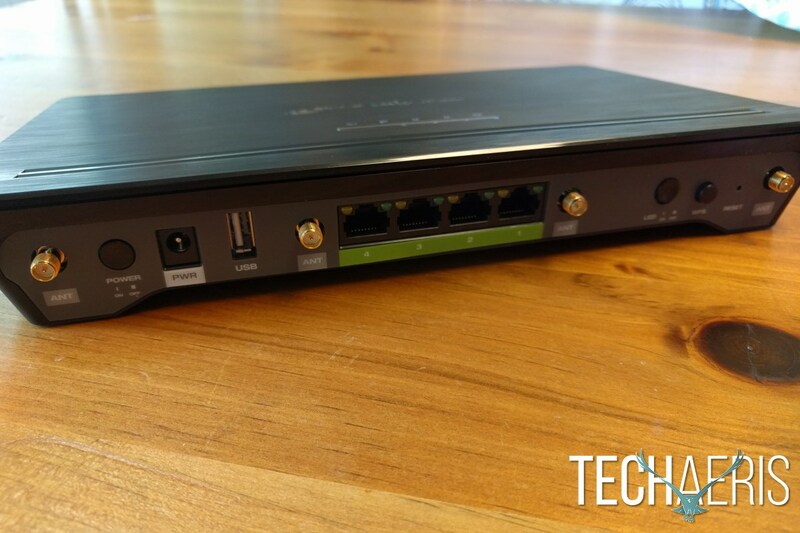 Wired connections are easy with the four WAN ports on the back, and wireless connections are as easy as they would be normally, either by picking your SSID and entering the password or tapping the WPS button for a one-touch connection. The ATHENA-EX will blanket your home, or wherever you’re using it, with added wireless (covering up to 15,000 sq ft). 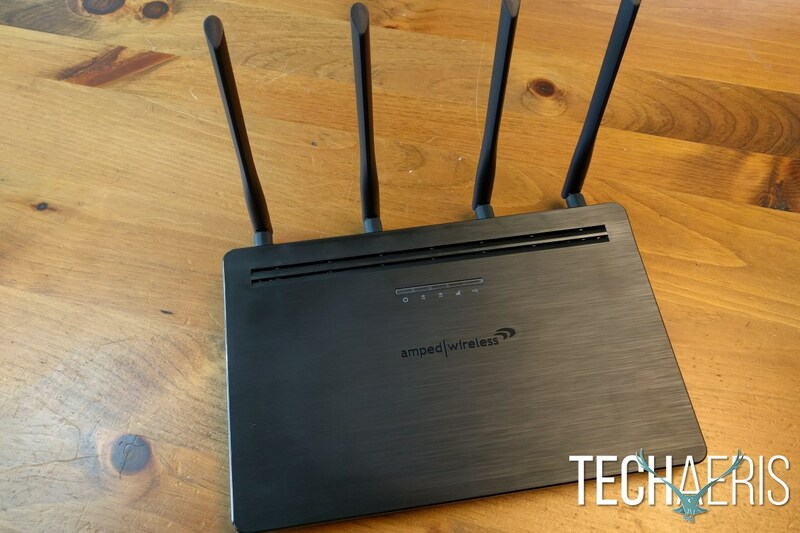 If your Wi-Fi router isn’t in the best location due to where your internet connection is located, this device can pick up the slack as long as it is able to get a strong enough wireless signal to extend. My wireless router is in the basement as that’s just where our internet connection has come in since well before wireless was a thing. That can cause some issues in an older brick house like mine where I won’t get a signal in spots even on the first floor. I’ve had the ATHENA-EX on my first floor, and it has filled any holes in my wireless setup admirably. The corners that were once dead zones on the first floor are dead no longer, and I can even pull pretty solid signal on the second floor (basically an attic/storage area, so we don’t spend a lot of time up there). I considered moving the extender up to the second floor and letting the extended Wi-Fi rain down over the entire house, but for our purposes, it has worked fine where it’s at. You can always, as mentioned in the software section, tone down the power on the extended wifi so you aren’t covering your whole neighborhood. Priced at $199.99, this is near the high-end for Wi-Fi range extenders. It does, however, cover more ground than most and easily works with your existing wireless router. Just keep in mind that this is not a wireless access point. It does require another Wi-Fi network to work and will extend that network, not create its own. Amped Wireless does have a range of WAPs though if that is what you are looking for. If you’ve got a large house or office, or if your internet connection is just placed awkwardly in your house and you need an easy way to extend your coverage the Amped Wireless ATHENA-EX offers a great way to do it. Sleek design that can be mounted on a wall or placed on a desk or shelf. Provides a huge coverage area to extend your existing wifi network. Some small hiccups during setup, extender did become unresponsive for a time, but a system reset was able to fix the issue. The ATHENA-EX provides a quick and easy way to extend your existing wifi network with a huge blanket of extended coverage. If you've found your wifi router lacking in some coverage, this is a product that can definitely pick up the slack. *We were sent a review sample of the Amped Wireless ATHENA-EX for the purposes of this review.